If you thought the wedding ceremony was the end of dress up game, you were absolutely wrong. Festivities are the most important thing for a newly-wed bride, where she has to fancy-up top to bottom. With the festive season around the corner, here are five classy outfit ideas for all you newly-wed brides for your first Lohri with new family and friends. Patiala salwar is the first thing that strikes your mind when you think of Punjabi fashion. 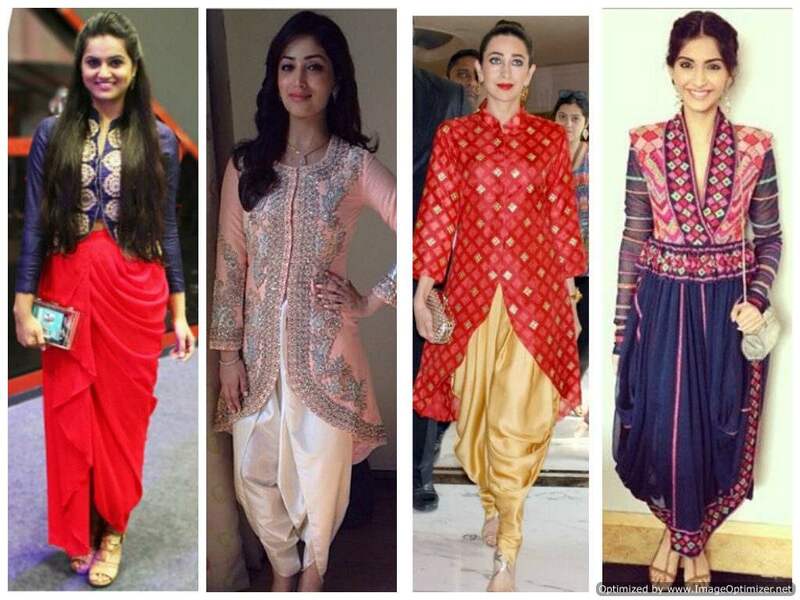 However, this Lohri give the traditional ensemble a twist of latest trend. A Kurti-Dhoti set suggests an unusual yet trendy style. With different attire like this, you are all set to turn the heads around. The combination of Palazzo and kurti has been around for some time now and we can barely get over it. The comfort it offers is beyond any other attire and the best part is that you can wear it to any casual or fancy outing at any point of the day. Trendy fashion scenes at this Lohri evening will be an elite affair for you. 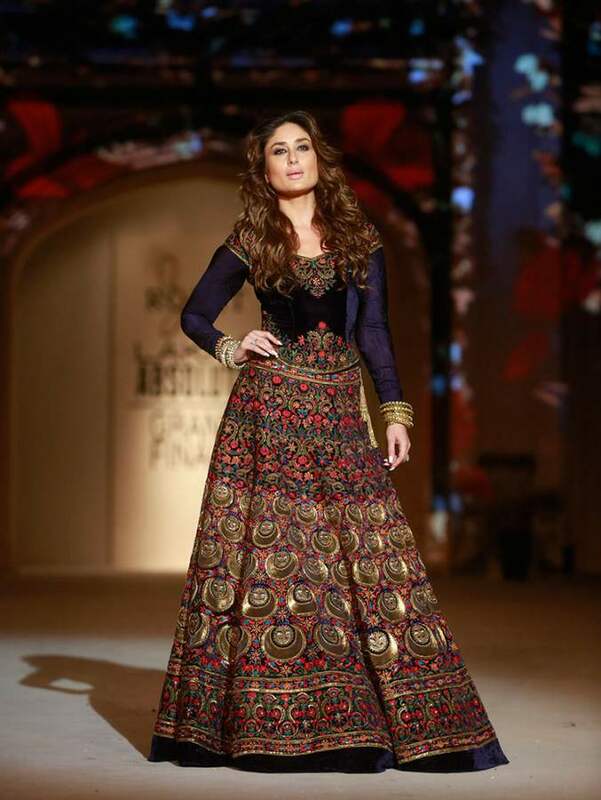 Wear a set of Palazzo with long kurti, making the look very classy and visually appealing. Comfortable and breezy, a floor length dress can make you appear very festive. In case you do not want to go entirely ethnic, a free-flow floor length dress is the best choice for a newly-wed bride for an elite gathering this Lohri. 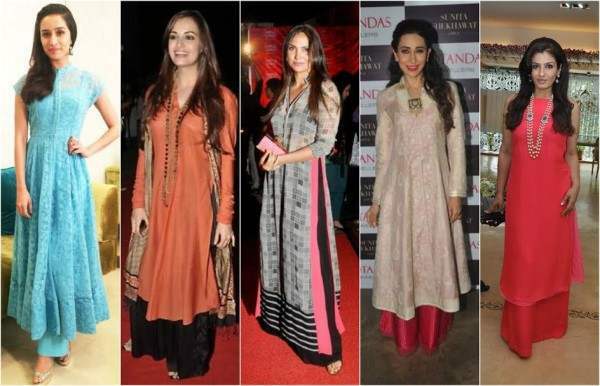 Minimalistic and elegant, a kurti with cigarette pants can never go out of fashion in India. From a casual kurti to a fancy one, cigarette pants go with everything for any occasion. 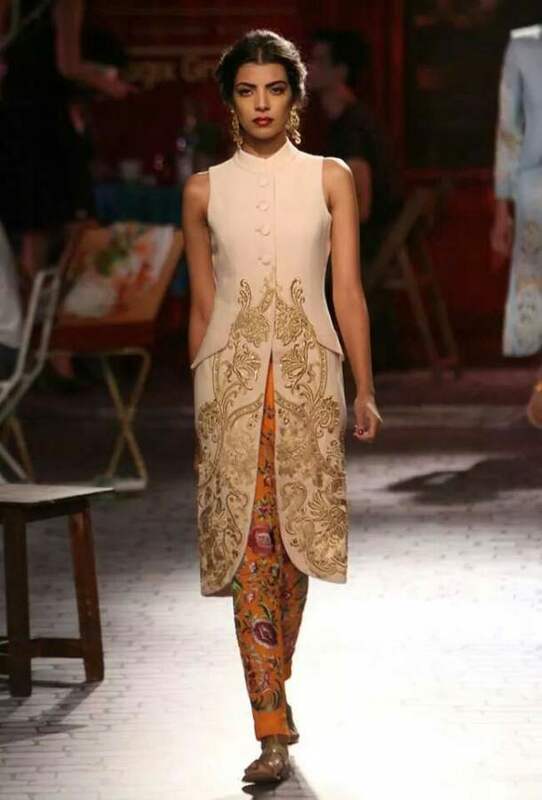 For Lohri 2019, we suggest a set of kurti paired with cigarette pants. One can either go for pastels or bold hues, as per the trend of 2019. 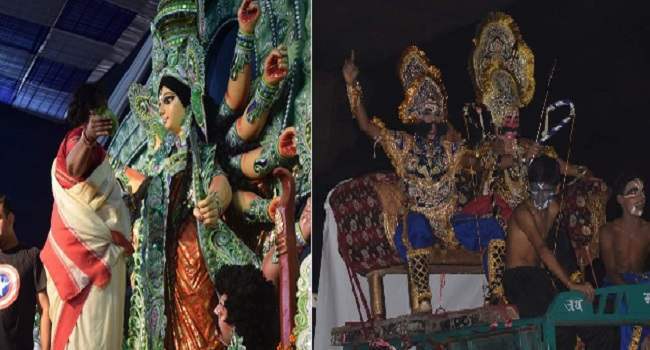 When it comes to dressing up for a Punjabi occasion, how can we miss the beautiful paranda and fancy jutis? Paranda adds a fancy look to your hairstyle, hence giving a whole new appeal to your appearance, while jutis are not just comfortable but can also hike up your oomph factor.